In this cut-throat competition era where the competitors are spread across the globe, it is mandatory to have a business website to mark your online presence. 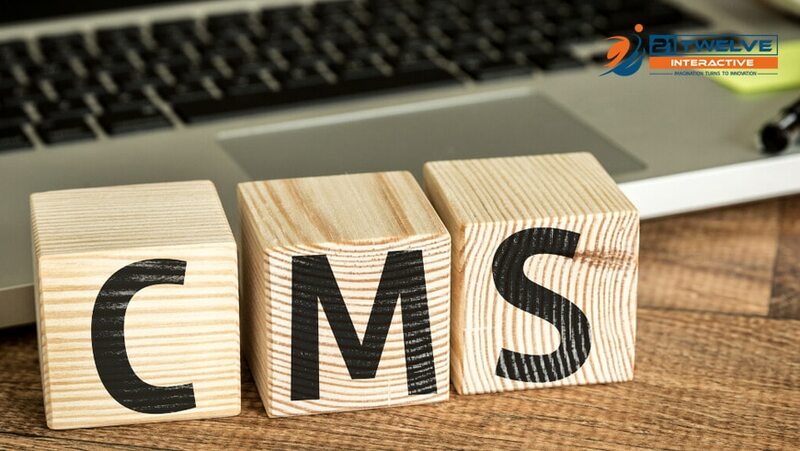 In order to maintain smooth and successful content marketing operations, user-friendly CMS is a must. Various platforms are available to choose from depending on the requirement. Whether it is a blog, a portal or an e-commerce website choosing the correct platform providing the necessary tools becomes helpful. WordPress is the only CMS Platform heard of by commoners. It is an online, open source website development and management tool that is based on PHP. It was launched in 2003 and has become a major influencer and a part of the internet since then. Joomla is a CMS Platform that is designed in a way that is easy to install and setup for all the beginners. It is very easy to use and a user-friendly platform. It offers a single click install that provides you a new website that is up and running in just a few minutes. Joomla is a free and open source CMS which is often mistaken for WordPress. Some of the features are TinyMCE Drag and Drop images, Insert Modules in an article, counting the items allowing you to keep a track of the views on your articles, and banners and contacts. Magento is an e-commerce platform that is built on an open source technology that provides a flexible shopping cart system to the online merchants. It is very powerful and easy to use which makes it the top-notch CMS platform in the e-commerce industry. It offers powerful marketing and Search Engine Optimization. It provides improved management interfaces that makes it very quick and easy to search for any information. Opt for Custom Magento Development Company India, USA and make your e-commerce website building work a special experience. Shopify is a Canadian-based solution that stands to be the best e-commerce platform by far for all the small and medium scale businesses that just initiating their online stores. It was founded in 2004. It is highly flexible and easy-to-use platform allowing the liberty to expand using add-ons or third-party apps. It provides numerous ready-to-use templates that can easily be customized to meet the business requirements. It caters to selling physical goods as well as digital goods. Select Custom CMS Website Development Company India, USA and get the best solution to your website development needs. Squarespace is yet another popular CMS platform which started around the same time as WordPress. The major point of difference between the two is that Squarespace is not open-source and thus cannot be downloaded and installed easily like WordPress. Squarespace is more of a ‘work for yourself’ website. It has superior drag and drop interface that cannot be challenged by any other platforms. Looking from a marketing perspective, the strength of Squarespace is its unbeatable analytics. The SEO and customer management toolkit comprises of full email marketing integration and is highly varied from other platforms. Which things do you consider before Choose to Build your Ecommerce website development Company? You forgot to check out https://zesty.io! We’re always looking to grow our partner network, and as a top CMS rated by Gartner Peer Reviews, it may be a good fit.